The Qum rugs are woven in workshops of Qum, a city of northwest central Persia. 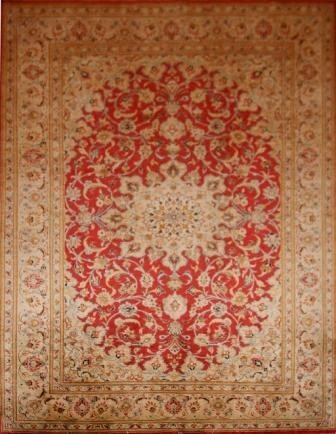 Qum rugs are woven with the asymmetric (Persian) knot. 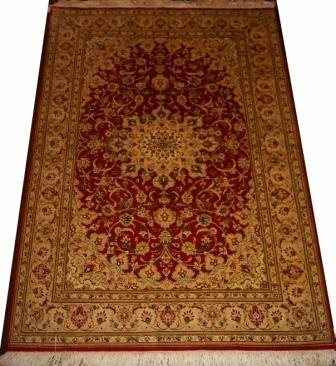 This particular rug is handmade Persian superior traditional design rug,combination of different shade ,colours. The beauty of the rug will catch anyone attention. The detail oriented pattern, design makes it extremely valuable. 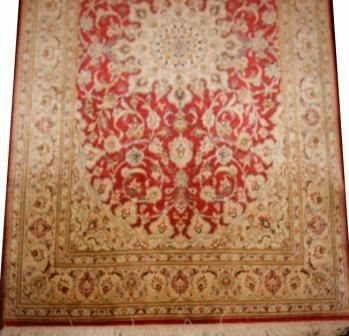 This is one of the finest looking rugs in temrs of quality,design,value for money. 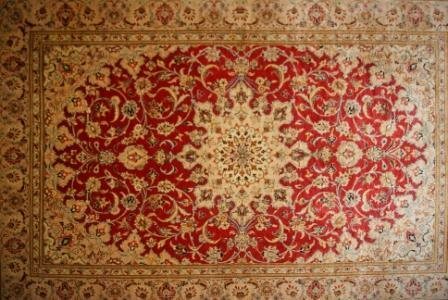 It has a very welcoming look, warm underfoot, velvety feel to it. 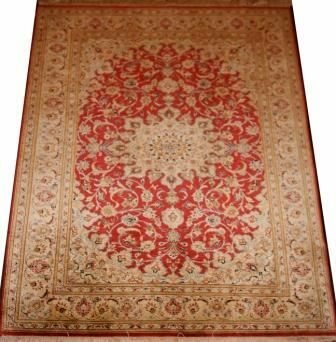 This rug as with all our rugs are a class above what you will find anywhere online. We pride ourselves on providing a unique experience of owning an authentic piece of eastern culture. Free Delivery on this rug within UK mainland.